I was thrilled to bits to be asked to deliver Amy and Dean’s 4 tier buttercream wedding cake to the truly wonderful Gaynes Park in Epping, Essex. I’ve heard so much about this beautiful venue and certainly wasn’t disappointed! 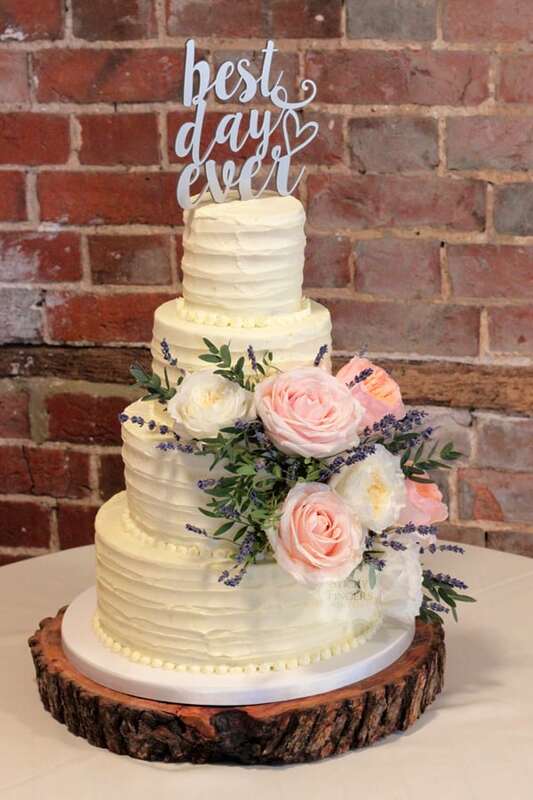 The happy couple decided on a rustic buttercream finish to their wedding cake and I decorated it with beautiful David Austin “Patience” and “Juliet” roses, Sweet Avalanche roses and dried lavender provided by their florist, Out of the Earth, in Southend. Their flavours were Lovely Lemony Lemon Cake for the bottom and top tiers, White Chocolate & Passion Fruit and Red Velvet for the middle two tiers and the cake was displayed on one of our log cake stands. Many, many congratulations to you both and wishing you a lifetime of happiness!